Due to a change in my schedule, I will post The Kickstarter Weekly on Mondays from now on. Welcome back for another issue of The Koalition’s Kickstarter Weekly. This week we have a nice mixture of gaming projects, because it can’t always be about just video games. The Far Reaches is an MMO where players explore the frontiers of space. 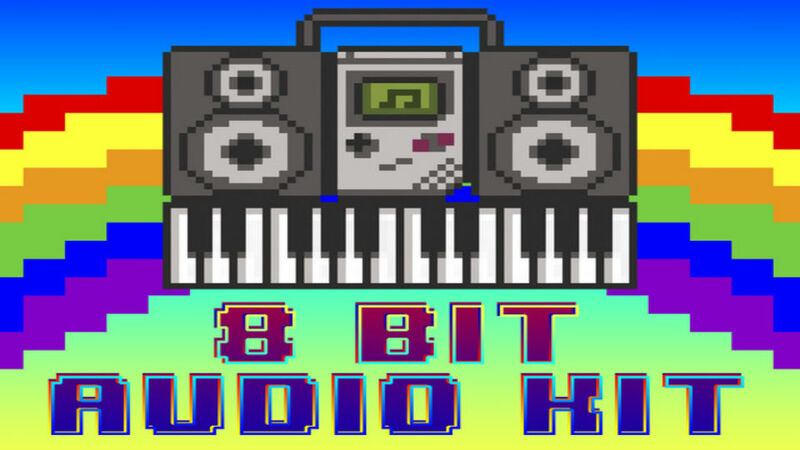 8-Bit Soundtracks is an audiokit that provides 4 hours of retro sounds for developers and YouTubers. Finally, The Virtual Laser League combines fantasy football with FPS. Wow, these titles are long and push the character limitations, but they’re worth it. By now, MMOs have covered both science fiction and fantasy settings extensively, and there’s no shortage of them on Kickstarter. Not every game needs to stand out with a change of setting, however. The Far Reaches, for instance, looks like a fantastic science fiction adventure with some new features that flesh out the worlds. The Far Reaches takes place at the unexplored edge of space. These frontier planets are still being explored by space travelers with varying jobs. Players can explore up to five vast worlds, on which they can build entire cities if they choose. It’s almost as if Samuel Ruggieri and his team created the closest thing we’ll get to a real Firefly MMO. The Far Reaches reminds me of Deadly Premonition in the sense that the world and its characters are completely fleshed out. After NPCs accompany you on your quest, they go home to craft items or participate in whatever guild to which they belong; they even keep memories of the events in mind when speaking with you. Player-crafted items, even cities, make up almost everything usable in the game. As for the combat, it eschews traditional systems in favor of something that requires players to “think on their feet.” In addition, players put their opponents on the defense when they attack their crafted cities in PvP. The Far Reaches seems to be a promising MMO with crafting elements. I like the idea of visiting frontier planets, exploring them, and then deciding where I’m going to build the first futuristic city. It also helps that the NPCs will have personalities, which will hopefully help bring the cities I create to life. We live in an age where we can learn how to do almost anything via the Internet. I think that’s fantastic, and it even helps people create things they could only dream of like video games. This is a medium where each product consists of several components like art, programming, and music—each one requiring considerable time and practice before mastery. Fortunately, Strangelette’s8-Bit Soundtracks: Video Game Audio Construction Kit should make the process easier for indie developers looking to create retro-styled games. Actually, 8-bit Soundtracks isn’t just for video game developers; anyone who wishes to create a retro sounding theme-song or sound effect for their creative projects is welcome to access the extensive audiocollection. 8-Bit Soundtracks includes 400 tracks (4 hours) of music, sound-effects, and soundscapes. Aspiring developers can seamlessly import these tracks into Unity and Unreal engines in order to better incorporate their compositions into their game. While it’s called 8-bit Soundtracks, the collection actually encompasses several different eras of gaming. Developers and YouTubers can create music that pays homage to their favorite games from the 1970s-1980s.The best part of 8-Bit Soundtracks is that it is royalty free, so long as you pay for the collection itself. I respect 8-Bit Soundtracks in the same way I respect imitone, a program in which users can compose melodies with their voice. The stretch goals add minutes to the overall collection, so that should provide creative-types plenty of material to work with. Thanks, Strangelette, for making our creative endeavors slightly easier. I’m not interested in sports, let alone eSports; however, I see their appeal. Even though I tend to agree with the idea that sports fans are their own brand of nerd, I just can’t get into it. Still, like a gin and tonic, some of my favorite things combine other ingredients that I can’t stand separately to create something amazing. Perhaps The Virtual Laser League could follow suit. If there’s one ingredient of The Virtual Laser League that I do enjoy, it’s Laser Tag. Fortunately, it’s the featured sport of this first person shooter. While a first-person shooter with Laser Tag isn’t new, The Virtual Laser League does everything in its power to transform it into a sporting event. Matches are set up into quarters and regional divisions. Tournaments are divided into seasons and players can be drafted and traded onto teams. What really turns this first-person shooter into a sporting event is the game’s corresponding network. This network is basically like the game’s ESPN, which discusses trades, players of the week and everything related. It’s a cool addition that cements the idea of the game being an eSport. I’m not sure if The Virtual Laser League will help me change my mind about eSports. I can, however, recognize that it’s a unique idea with an immersive presentation. The Kickstarter page mentions that the team will be making a documentary behind the scenes. Given the scope of its subject matter, I think the documentary would make for a fantastic watch.